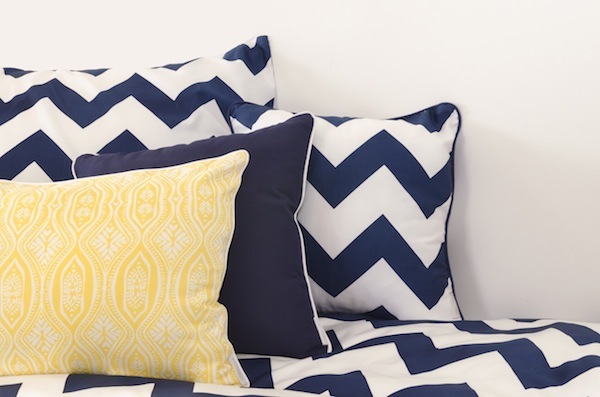 Crazy for chevron? It’s a trend that’s sticking around thanks to its sharp, clean lines and adaptability to many types of decor. 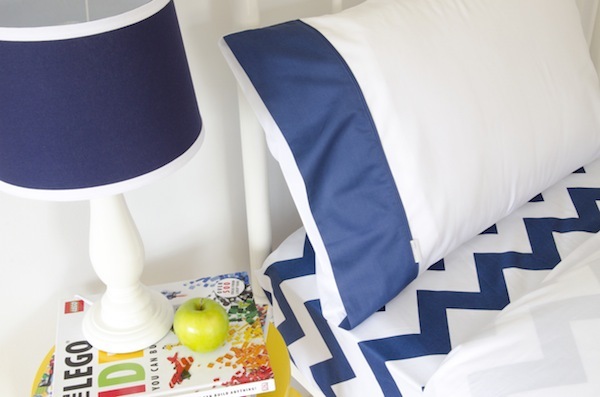 Now there’s a delicious new bedding collection from Kate Lauren Designs! Navy and yellow, I mean really. It’s a match made in heaven, even though it has never occurred to me to pair them in my own home. 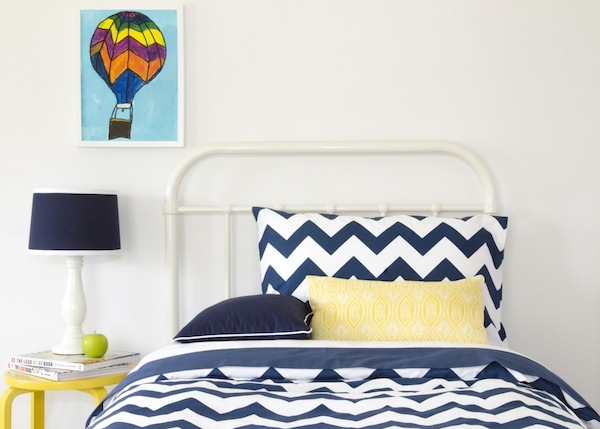 Looks like a re-evaluation of one of my boys’ rooms could be on the cards with the release of the new Hudson Nate bedding range from Kate Lauren Designs. We showed you the gorgeous Zachary Hunter range and now those for a penchant for navy can indulge. The Hudson Nate collection also has a comforter option ($220) – I have comforters for between seasons and find them brilliant for a quick and comfy change of look to the bedroom. Find the entire range at Kate Lauren Designs – it includes cushions, sheet sets and a lampshade for that polished look.